Lavished over salads, stirred into smoothies or sipped straight from the spoon – our Organic Omega 3:6:9 Balance Oil is the perfect way to get healthy fats into your diet. 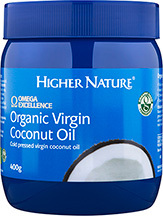 Made from 100% organic, unrefined flax seeds, sunflower seed oils and extra virgin olive oil, it is an excellent source of omega fatty acids. 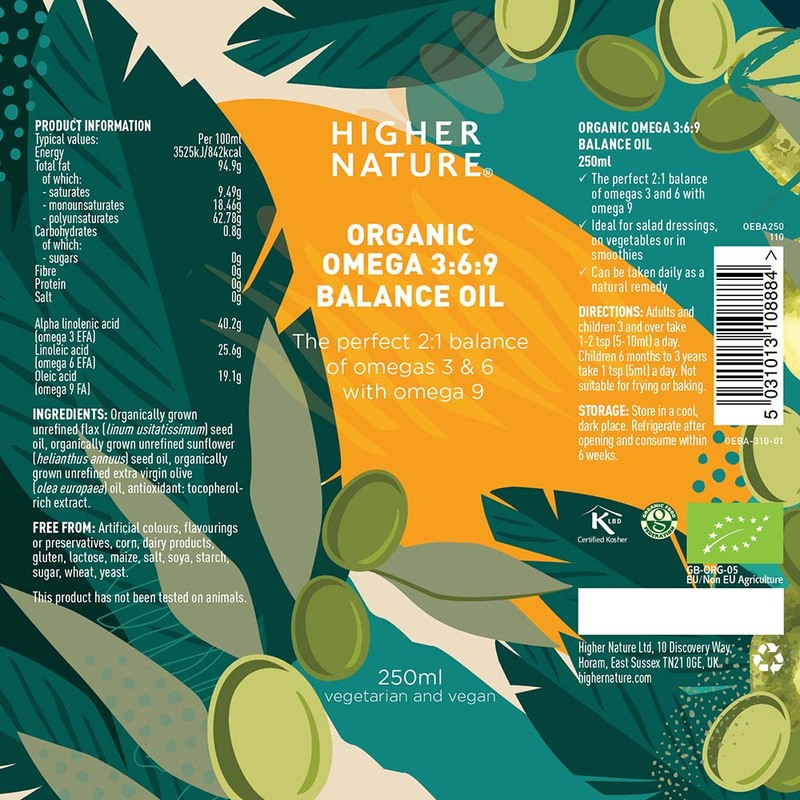 Carefully balanced with a perfect 2:1 ratio of omega 3 and omega 6, with added omega 9, it helps support the brain, heart, eyes and immune system. 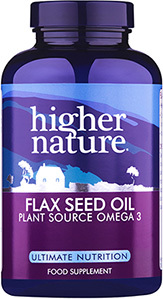 2018mg Alpha-Linolenic acid (Omega 3 EFA), 1130mg Linoleic acid (Omega 6 EFA), 835mg Oleic acid (Omega 9 FA). Store in a cool, dark place. Refrigerate after opening and consume within 6 weeks.